Ski conditions are good up high thanks to mother nature and good down low thanks to state of the art snow-making. 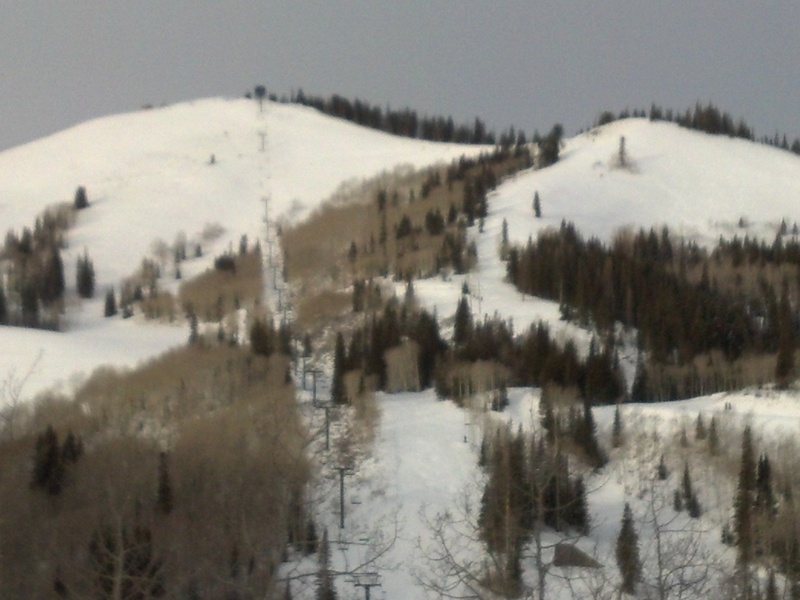 On my way to work this morning I began to wonder how many people might not be coming this weekend for Deer Valley's opening due to low snow totals and then I decided to send you the phone-photo, below (not my best work, admittedly). If you only relate to snow totals, think again. Living at 8700', on the south side of Empire Pass, I see and feel everyday what the snow conditions are like. The inches of water in the snowpack are astounding. From a ground (rocks, fallen trees, etc.) coverage standpoint, that's a very good thing. We have had three "good base snow" storms. The last one, two nights ago, was the densest snowfall I have ever seen. Had it been ten degrees colder that night we would have had two feet of snow. Instead, we got an excellent base. See my Empire Pass weather link(mouse over Empire Pass Weather Forecast) to see the predictions for fluffier snow on top of all this, now through the weekend. Posted in Uncategorized | 0 Responses to "Opening Weekend at Deer Valley"
© Empire Pass Real Estate Empire Pass Real Estate is Owned and Operated by Empire Pass Inc.